UNSW Australia scientists have developed a testing protocol that identifies the blinding eye disease glaucoma four years earlier than current techniques. The patented method involves patients looking at small dots of light of specially chosen size and light intensity. An inability to see them indicates blind spots in the eye and early loss of peripheral vision. A study assessing 13 patients using this improved technique for visual field testing has been recently published in the journal Ophthalmic and Physiological Optics. “Glaucoma is one of the leading causes of irreversible blindness in the world, and in the early stages patients usually have no symptoms and are not aware they are developing permanent vision loss,” says Director of the UNSW Centre for Eye Health Professor Michael Kalloniatis. 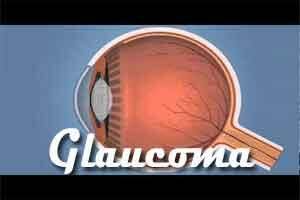 Glaucoma involves the slow destruction of the optic nerve at the back of the eye, with early loss mainly occurring in peripheral vision. More than 300,000 Australians have glaucoma, and the risks of the disease increase with age and family history. Four tests are currently used to diagnose glaucoma: an eye pressure test, observation of the optical nerve, microscopic examination of the anterior eye, and visual field testing using a machine called a Visual Field Analyser. The UNSW innovation involves an automated visual field analysis system that uses a pattern of differently sized spots, which takes into account the fact that the eye processes visual information away from central vision differently. Current visual field testing systems use just one test size to measure vision at different locations of the visual field. The design has been patented in the US and the European Union, with the inventors named as Professor Kalloniatis, Dr Sieu Khuu of the UNSW School of Optometry and Vision Science, and Dr Noha Alsaleem, a former Masters student at UNSW. When the UNSW approach was used to assess 13 patients with early glaucoma or optic nerve damage, and 42 people without eye disease, greater vision loss was detected in all patients than using the standard test. “The current method of visual field testing, which uses just one dot size, is good but not ideal. Our test appears to be much more sensitive at detecting disease in an early stage. On average, we expect we will be able to detect glaucoma four years earlier than at present,” says Professor Kalloniatis. His team is currently using the new test to assess up to 30 more patients at the UNSW Centre for Eye Health. They would like to conduct a much larger clinical trial to determine its effectiveness. “We hope our new approach will eventually be introduced around the world, and treatment can begin earlier to slow down vision loss in glaucoma,” says Professor Kalloniatis. The Centre for Eye Health is an initiative of Guide Dogs NSW/ACT and UNSW and provides state-of-the-art eye imaging and visual systems diagnostic services to the general community at no charge. It is well placed to carry out a clinical trial because it examines around 3000 patients a year with glaucoma or suspected glaucoma. If the test is more specific ,it will be a great contribution for prevention of blindness. congratulations…. for the new invention in visual field testing for glaucoma.